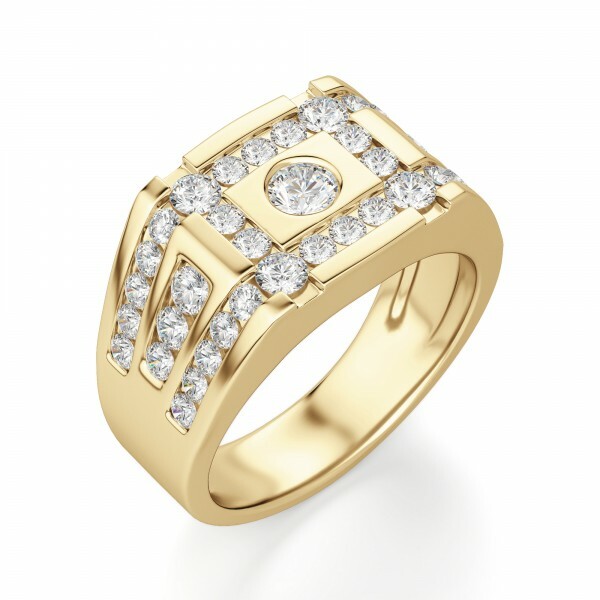 Glared Defiance Ring was added to your cart. Each shoulder of this sensational men's ring features 13 channel-set Round Brilliant cut Nexus Diamond alternatives, topped by a plateau set with 15 Nexus Diamond alternatives in channels running over the entire surface. 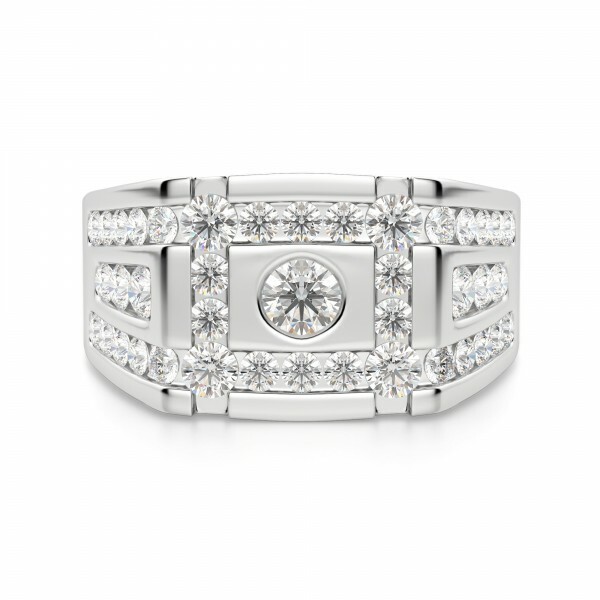 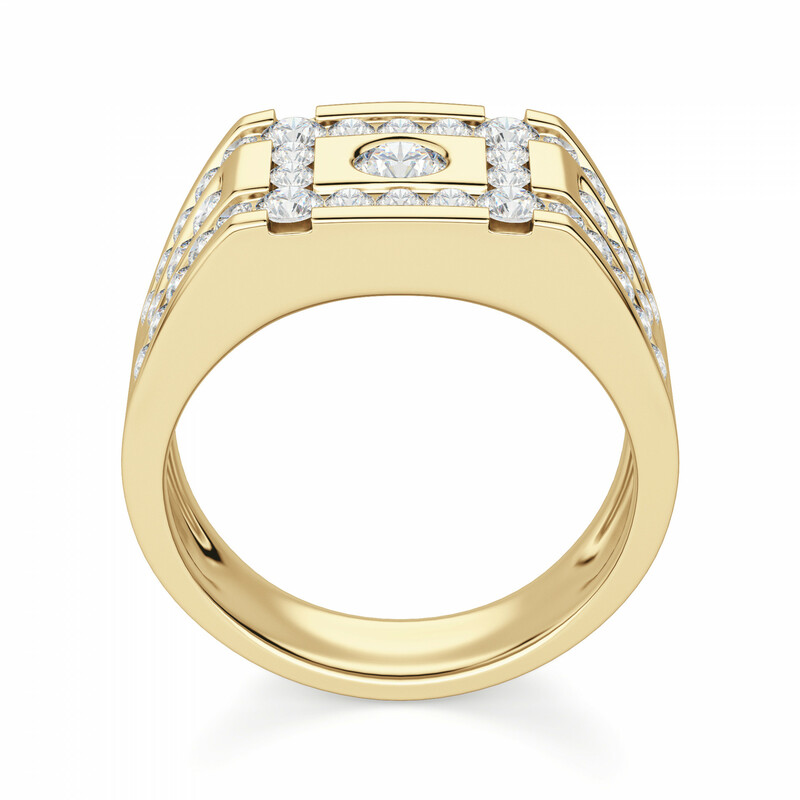 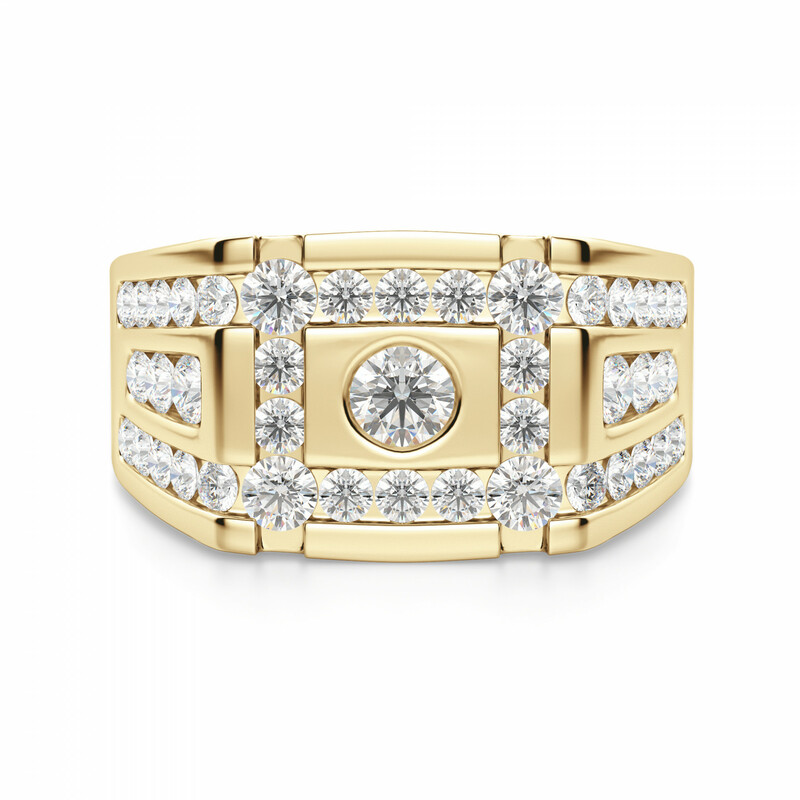 A 0.25 carat Round Brilliant bezel set Nexus Diamond alternative fills the smooth square island at the center.